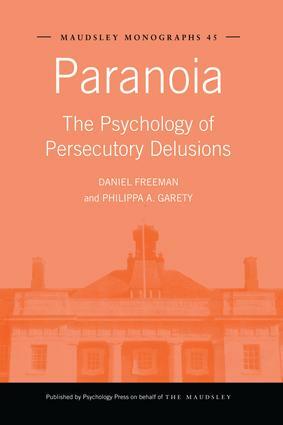 This chapter presents a new cognitive model of persecutory delusions. It describes factors contributing to delusion formation, maintenance, and the emotional experience. The model is based upon the ideas highlighted in the monograph and upon key existing views on delusions and psychosis. Delusions are hypothesised to arise from an interaction between psychotic and emotional processes. Distress is hypothesised to result in part directly from aspects of the content of delusional systems. The formation of the delusion will begin with a precipitator, such as a life event, a period of stress, or drug misuse. The cognitive component of anxiety centres upon concern about impending danger, and such themes are directly reflected in persecutory delusions. Anxiety may be the key emotion with regard to the formation of persecutory delusions, but other emotions may add to the contents of the delusion. In the model a number of processes that may form and maintain persecutory delusions are identified.